Although it meant Friday night and Saturday work, the opportunities for Veri this weekend involved being dressed less in overalls and more in black tie, but were substantial for provoking possibilities for our product in data protection and internationalisation. 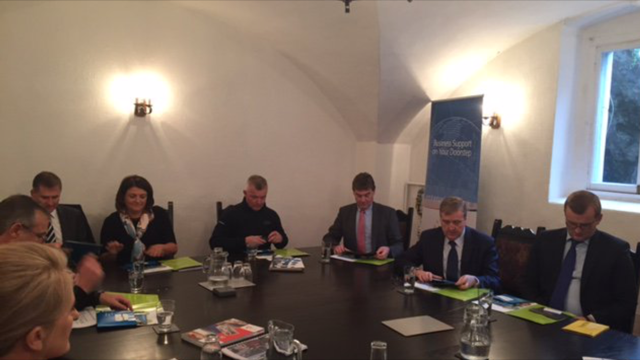 Tendering We kicked off our opportunities meeting the Minister of State with special responsibility for Data Protection on Friday, Pat Breen at a round table discussion on our business with Fiona Deegan and two other businesses that had received amazing support from Kilkenny Leo. We had great feedback on our product for data protection and digitisation in the training sector from the Minister. , Enterprise Ireland has been a mentor and a huge support for us at VERI from the off. 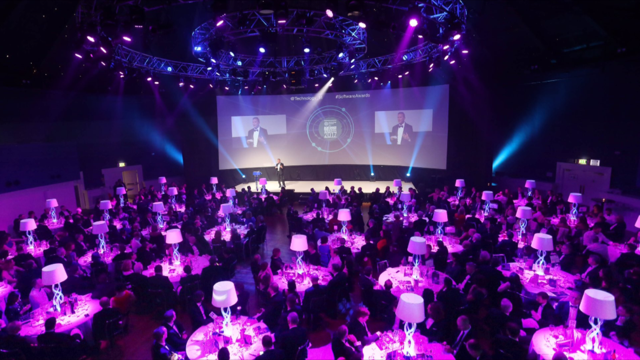 After a call last week, Sarita invited us to attend the 25th Annual Software Industry Awards in the mansion house Friday night. Fellow ex- northerner Barry Lowry, Government CIO gave an inspirational keynote speech. He studied via #fet at night while working and using Martin O’Neill and Irish soccer as an analogy stressed the importance of #mentoring #GenerationApprenticeship. “A Fixed mindset versus a growth mindset” was what he said the difference a mentor can make to a company or a career. On Friday night I was seated at a table with 9 very auspicious men in tech, and enjoyed hearing the war stories of their journeys in scaling successful tech businesses. I promised to come back in 2018 with a few war stories of our own and a nomination for our upcoming product on predictive analytics for remediation and training. I also joined our google mentors table with James Allen and was delighted to be invited back to speak to 70 of their female staff for their Women@Google network next month to inspire future female Google Leaders. On Saturday night , I was seated with the same number of very auspicious women in business. VERI was a finalists in two categories for the StateStreet Bank Chamber Awards in Kilkenny. With just six at the Veri table we joined the inigma that is Mags Kirwan of the Goatsbridge Trout Farm, who received the special award for inspirational business leader in Kilkenny. I was also delighted to meet Sinead Fitzmaurice FCA from Transfer Mate who won three awards which included Kilkenny business of the year. Terry Clune was again really insightful and I was really appreciative with his advice that regulatory technology like VERI is new “Fintech” and the future for business. To sum up, if you love what you do you never have to work a day in your life. Although I had a marathon weekend and was back in the office on Sunday afternoon working on a new Tender that we may or may not win. Politics, awards and networking are all part of the continuous professional development that is intrinsic to success and progress in our business. However it is secondary to the focus on our clients and our ability to serve them.